Q & A’S With Tom Coyne- Chairman Of Egcr 2017 - Hi-Tech Compressor & Pump Products, Inc.
Tom Coyne was elected to become the Chairman of the EGCR conference this year. Tom has been a part of the Hi-tech Compressor team for a little over 3 years. He is a sales representative for Pennsylvania, New York, and Ohio. Tom is originally from Bow, New Hampshire, where he attended Bishop Brady HS and Plymouth State University. 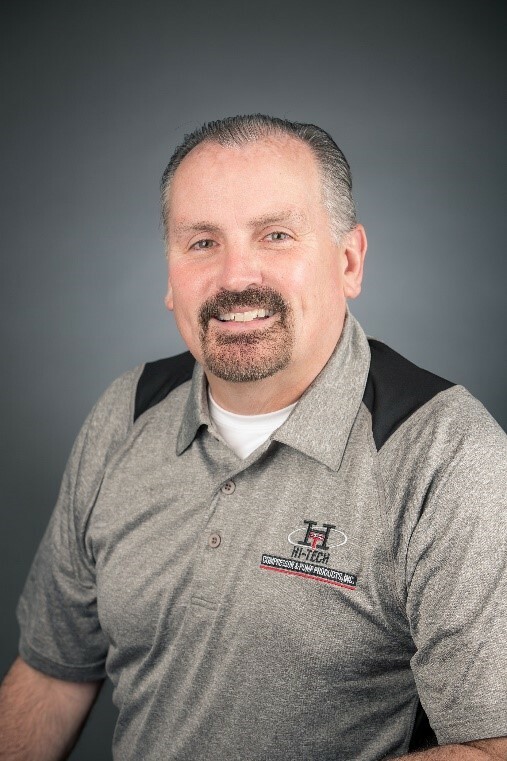 In addition to his knowledge of the sales field, Tom also has expertise in a machine shop and the production manufacturing applications. We asked Tom a few questions about his upcoming attendance to the EGCR. We were wondering what his thoughts were on the conference and what circumstances may arise during this year’s event. Q- So Tom, what are you going to do as the chairman this year? A- I am hoping to lend some leadership and direction to the EGCR committee. Our market had a down year and my vision is to keep the EGCR as a useful network that extends a commitment to industry training & education. Q- Being that this is your first time elected by your peers to the Chairman role, what do you hope to gain from this experience? A- What I’ve gained thus far is a true respect for the history of the EGCR and the many people that built the foundation to where the EGCR is today. Q- How about the experience at EGCR, what excites you the most about the event? A- For me, it’s a great networking event. A rare occasion that customers and vendors can come together in one place and continue to learn about our industry. Q- What do you hope Hi-Tech Compressor will gain from this experience? A- My hope is that Hi-Tech continues to gain respect amongst industry leaders and can continue to strengthen its relationships within the industry. Q- What do you have to say about the company you work for, Hi-Tech Compressor? A- Tough times don’t last, but tough people do. We are a combination of outside the box thinkers that are willing to do what it takes to get the job done. Q- Where do you see this industry going in the next year? A- I see the oil/gas price outlook as favorable and continued growth within our industry. I foresee continued growth and opportunities in gas infrastructure as well. Come visit Tom at the EGCR this year on May 23rd to the 25th and stop by booth 401/500 to meet him along with the rest of the Hi-tech Compressor Team! We’ll see you there!